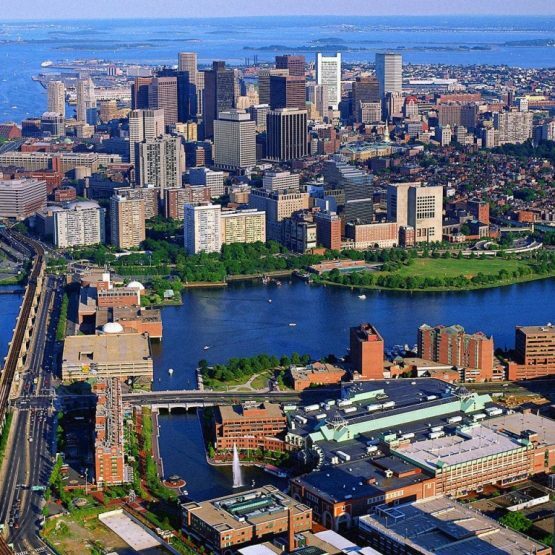 If planning a trip to Boston Massachusetts, consider a private jet from Charter Flight Group. Avoid long security waits and crowded terminals common with commercial flights. Charter Flight Group, with over 30 years experience in providing clients with the finest luxury private charters, certainly has exactly the right private aircraft for your flight to Boston. Whether you need something small for a short trip from somewhere on the east coast, such as a turboprop Pilatus or a small jet like a Lear 31, CFG can charter your private flight. Perhaps you need something with more range or carrying capacity. We believe firmly in two things: Service and safety. Indeed, these two ideals make the difference and this is why CFG is growing with successful flights and satisfied clients. As to safety, we only hire the best certified maintenance personnel and finest pilots in the world and even bring in safety auditors Wyvern and ARG/US to ensure that every private charter craft is in pristine condition prior to flight. Then charter a private Astra mid-size jet, Gulfstream V large jet, or Boeing 737 airliner jet. No matter your needs in a private charter, CFG can provide. To provide the kind of world-class service our private charter clients have come to expect, CFG only employs professional flight attendants when needed who are capable of serving our private jet clients in such a way that they truly feel pampered. Even our expert pilots do their part by taking the jets away from areas of known turbulence so as to provide the smoothest flight possible. Each pilot is an expert navigator, which is very important for most private business charter clients, who often conduct business en-route. Finally, CFG only hires knowledgeable and expert private air consultants who will arrange every aspect of your trip so that you can focus on what is important. They are available 24/7 to arrange your jet to Boston. When your private charter jet lands in Boston, you will arrive at General Edward Lawrence Logan International Airport, which, understandably is referred to as simply Logan International by locals. This is the busiest airport on the northeaster seaboard and one of the busiest in the nation. Situated over and really, into Boston Harbor, when you private jet approaches Logan airport, you will be in for a spectacular view.Upon disembarking, you are already in Boston, but to get to various points nearby, you will take either I-90 Westbound to enter South Boston or the 1A to enter Ward 2 and Cambridge. Taking this same freeway eastbound will lead you to Marblehead and Salem. 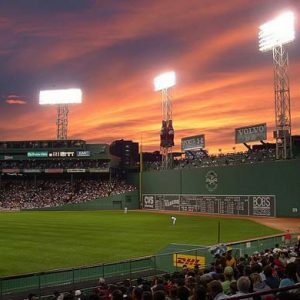 As home to the Bruins, Celtics, Red Sox, and Patriots, this city is paradise for the Sportsman. Naturally, as one of the key cities in the American Revolution, Boston has plenty to offer the history buff. As a port city, those enjoying water sports such as sailing will find plenty to do. And as a city with deep cultural roots, there are literally tons of festivals, exhibits, museums, galleries, and theaters in which to immerse oneself. Some of the highlights are, the Boston Symphony and of course, the Boston Pops, with Keith Lockhart leading. Boston is also home to the JFK Presidential Library & Museum, Samuel Adams Brewery, and Old Ironsides, as the USS Constitution, the oldest commissioned ship in the U.S. Navy and undefeated in battle.As for business interests, Boston has plenty to offer, for the economy, built on shipping and transport has grown to become very diverse. Home to many colleges and Universities, including famed Harvard and Cambridge, Boston is ripe ground for recruiters to any corporation. In addition, many major companies call Boston home including, Bentley Motor Company, Houghton Mifflin Harcourt, American Tower, New Balance shoes, Gillette, iRobot Corporation, National Amusements, Boston Scientific Corporation, HP, Intel, and many others. When you choose Charter Flight Group for your jet flight to Boston, Massachusetts you are choosing a world leader in providing air travel services. Just as Boston offers the finest of everything, CFG offers the finest luxury jets, the finest flight attendants to pamper you en-route, the finest charter pilots to ensure the finest, smoothest flight you shall ever experience, and the finest private jet charter consultants who will see to it that your entire trip goes as planned. Fly to Boston, Massachusetts in comfort and ease; fly with us.